ISLAMABAD: The office of ombudsperson on women harassment on Friday accused the reporter of a private news channel of attempting to attack Federal Ombudsperson for Protection against Harassment of Women at Workplace Kashmala Tariq and manhandling other staff following an interview related to the International Women’s Day. The private media outlet on Thursday had accused the ombudsperson’s staff of manhandling the crew of the news channel. Claiming that the ombudsperson had ordered her staff to confiscate the channel’s equipment and restrained them from leaving the office, the channel had also released a video of the incident on social media. 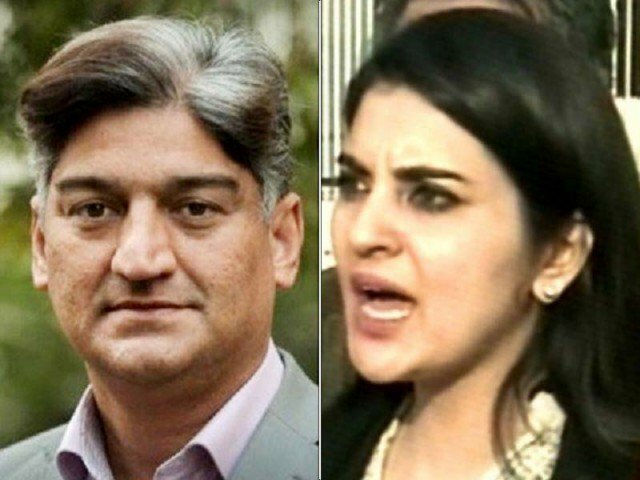 Replying to the allegations, the ombudsperson’s office in a statement on Friday, a copy of which is available with Pakistan Today, said that Kashmala Tariq and Matiullah Jan were recording a message for the designated day when the reporter started asking “inappropriate questions that were not in line with the intent and objective of the message for the particular day”. The statement further read that following the conclusion of the recording, the reporter and the federal ombudsperson discussed matters off the record. Matiullah, the reporter “demanded the federal ombudsperson not to touch the equipment and in a frightful exhibit of aggressive and violent behaviour lunged towards her and the camera”. “In this heinous act, he did not only assault the federal ombudsperson but also pushed and injured other members of her staff, one of whom was pregnant,” the communique added. “It was decided that the police being the appropriate authority, should be called. Upon seeing the number of witnesses to the event, Mr Matiullah Jan and his team attempted to escape, following which it was necessary to restrain them in the court of the ombudsman wherein the incident took place until the appropriate authorities could come and apprehend them,” the statement concluded.